Congratulations to Professor Stephen Bazire, Dr Ian Maidment, Claire Nowak, and Rachel Walsh, who all successfully recredentialed with the College towards the end of 2017. Recredentialing with us reaffirms their expertise in the field of mental health pharmacy. Professor Stephen Bazire is a Director of Mistura Enterprise Ltd® (Choice and Medication©) and Mistura Informatics Ltd® (MaPPs 2©). He is also an Honorary Professor at the School of Pharmacy, University of East Anglia. When asked what he finds most rewarding about his role, Steve says that it is knowing that he continues to make a difference. He says: “Recently I went to Australia and New Zealand and had a fab time with people who knew me/us and really appreciated what we can do through C&M [Choice and Medication] to help them.” He was interviewed during this visit and can be heard in this podcast from about 5 minutes in: https://www.purplepenpodcast.com/home/2017/11/18/ppp036-live-from-shpa-mm2017-day-2 . 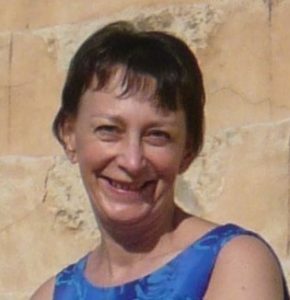 CMHP Assistant Registrar Roz Gittins* – who oversaw the recredentialing process - commented that Steve’s continued work with the Psychotropic Drug Directory was particularly impressive. 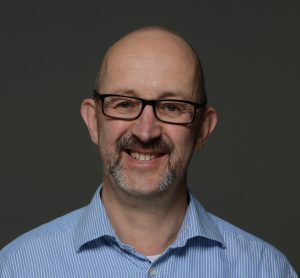 Dr Ian Maidment is Senior Lecturer in Clinical Pharmacy in the School of Life and Health Sciences at Aston University. During the recredentialing process, Roz highlighted Ian’s work in developing the Aston University Psychiatric pharmacy programme and securing NIHR funding as being especially noteworthy. For Ian, being credentialed by the College is a valuable recognition of the importance of his research and education by the College. Claire Nowak is Lead Pharmacist – Medicines Safety in the Medicines Safety Team at Nottinghamshire Healthcare NHS Trust. Rachel Walsh recently started a new role at South Staffordshire and Shropshire NHS Foundation Trust. Rachel’s work supporting the development of more junior Pharmacist colleagues was a key strength identified by Roz when she reviewed Rachel’s recredentialing portfolio. 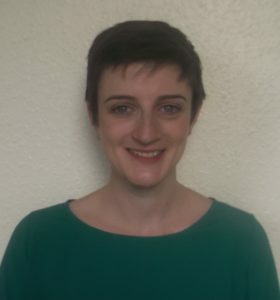 This reflects an aspect of Rachel’s role that she says she finds rewarding: “motivating and mentoring pharmacy colleagues in developing and applying their specialist clinical skills”. Credentialing is our process for assessing members' knowledge and experience; it demonstrates that they are experts in the field of mental health pharmacy. Credentialed members are full members of the College and can carry the post-nominals MCMHP. Members are required to recredential every five years, showing that they have maintained their commitment to continuing professional development and expert levels of practice. *Roz Gittins was Assistant Registrar at the time these members went through recredentialing. She has since been appointed Registrar of the College.